Adult14 years old and up. Easy to use and operate, the two-wheeled Segway sports high-tech gyroscopes that automatically respond to your body's movements, sensing when it should speed up or slow down. You stand on a small platform between left and right wheels as you hold onto handlebars at a comfortable waist height. The Segway handles the balancing for you so that you are always upright as you glide through any environment. Designed to operate in any pedestrian environment. It's new, cool, safe and easy to use, plus a ton of fun! 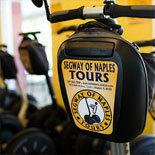 The Segway Tour is perfect for both visitors to Naples and Neapolitans themselves! 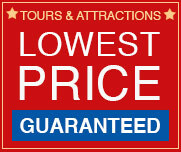 For visitors, this tour will offer a fantastic orientation and give you a great opportunity to see all of the sites. For the locals, you are sure to learn new facts and stories about Naples that you've never heard. Naples Transportation & Tours is positive everyone will agree that riding a Segway is the best, not to mention the most fun, way to see downtown Naples! Tin City and the City Dock. Tours include a short 30 minute training session in which the guide will train each person on how to ride the Segway, then it's off on the tour for 1 1/2 hours! Segway of Naples is an authorized Segway dealer and meets the high standards for providing customers a safe and memorable experience. They are recognized as providing the highest quality tour in the area, delivering the utmost in safety and training, smaller guide-to-glider ratio and in depth knowledge of technical and practical usage. 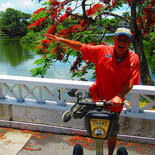 Make your reservation today, get your eTicket and glide through Naples on the coolest machine around - The Segway! Welcome to the most unique, innovative, and exciting tour of downtown Naples! 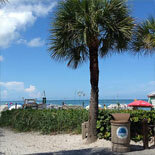 The Segway Tour is perfect for both visitors to Naples and Neapolitans themselves! 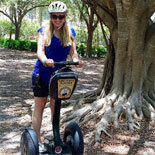 Glide through Naples on the coolest machine around - The Segway! Daily at 9:00 am, 11:00 am, 1:30 pm and 3:30 pm. Closed Thanksgiving and Christmas day. Actual tour time: 1.5 hours/ Segway orientation: 30 minutes. Riders must be 14 years of age or older. 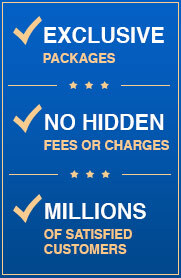 Reservations are required 48 hours in advance of desired tour date and time must be confirmed. E-Ticket will have details | Must weight at least 100 lbs. and not exceed 260 lbs | Must be able to stand for 1 1/2 hours | Must wear flat soled shoes, preferably closed toe | Must not be pregnant | Must not have a physical condition that requires a brace, cane or crutch.